Subscribe for Development Opportunity Updates! 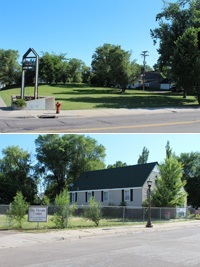 Located minutes from downtown Saint Paul and the State Capitol, these two sites are in a bikeable neighborhood and within walking distance to multiple locally owned businesses. The neighborhood vision for these sites is commercial, residential or mixed-use with a multi-story concept on the main site that is a transit-oriented development. The properties can be developed together or individually. District 6 Neighborhood Plan - Rice Street Guidelines are in Appendix B. For more information about Rice & Sycamore and 119 Lyton Place, contact Andrew Hestness at 651-266-6577.